Inverter generators provide more clean, electronics safe power than traditional generators and you should consider them if you are using them for flat screen TVs, Laptops, chargers and other sensitive electronics in your home or RV trailer. Consumers post their ratings online where they will assist you to know more about how the generator operates. Here are some of the top rated inverter generator reviews to look at. 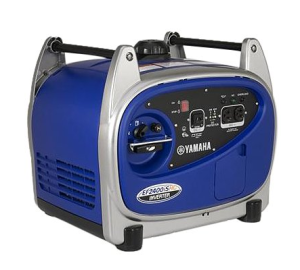 This Yamaha Gas Powered EF2800i Portable Inverter Generator has a compact design and has a multipole alternator. You can control its noise level and fuel economy with its electrical governor and it can run for up to seven hours at half load. Its noise level is 67 dba and it has a pulse width modulation control. It has a fuel capacity of 3 gallons and it comes with a three year warranty at time of purchase. It has a 171cc 4 stroke OHV engine and runs at 2800 watts surge and 2500 watts rated. It weighs about 64 pounds and costs about $1600 online. It earned 4.5 stars from amazon reviewers to make this one of the top rated inverter generator reviews. It is carbcompliant and is sold in all 50 states. Consumerslike the quality of the product and how quiet it runs. 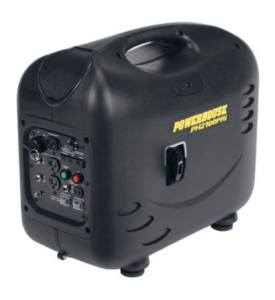 This Powerhouse Gas Powered PH 2100pri Portable Inverter Generator comes with a remote control that you can operate up to 75 feet away. It has a fuel primer bulb and an automatic choke for a fast start up. It weighs about 73 pounds and has a single cylinder 125cc 4 stroke engine. There are variable engine speeds and it takes up to 1.3 gallons of fuel. There is a battery charger kit and other items included with the generator including an oil jug, spare fuse, two keys, and an oil drain pipe. There are several outlets as well such as five 20R duplex receptacles and 120 volt AC power signal. 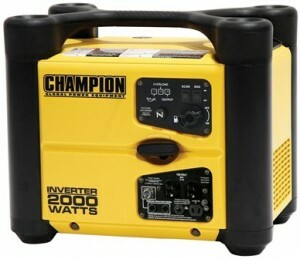 It has an integrated inverter for safe use when you are dealing with electronics and tools. It has a voltage regulator and it comes with a two year warranty at time of purchase. It runs at 2000 watts rated and 2100 watts surge. It costs about $700 online and it received 4 stars from more than 30 Amazon reviewers. Consumers like how quiet this machine runs and its clean sine wave output. This Champion Power Equipment Gas Powered 73536i Portable Inverter Generator has a 80cc 4 stroke engine and it runs quietly at 53 dba. It comes with a two year limited warranty at time of purchase. There are several outlets such as one 12 volt DC outlet and it runs on an economy mode to help save fuel. It has an overload protection and a spark plug socket along with a low oil sensor that will alert you when you need to add oil. It can run for up to nine hours at half load and it weighs about 48 pounds. It runs at 1700 watts rated and 2000 watts surge. Consumers like how quiet it runs and consider is a great alternative to expensive generators. 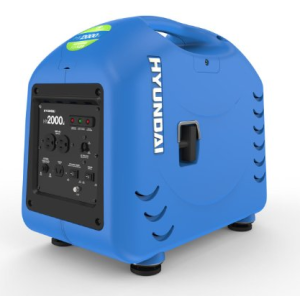 It costs about $600 online and it received 4.5 stars from more than 45 Amazon reviewers to make this one of the top rated inverter generator reviews. 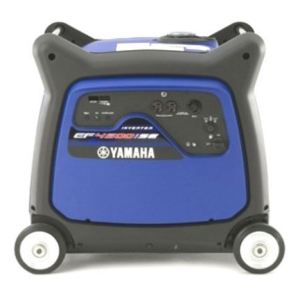 This Yamaha Portable EF2400 ISHC Generator can run most 13500 BTUs for electronics and appliances. It has a quiet operation at 58 dba and offers easy portability with two handles. It has a fuel capacity of 1.6 gallons and it comes with a 171cc 16 amp 5.5hp motor. There are several outlets including a 125 volt receptacle and it can run for up to 8.5 hours at one fourth load. It has a low oil alert system that helps prevent causing damage to your engine. It weighs about 75 pounds and runs at 2400 watts surge. It costs about $1300 online and it earned 4.5 stars from more than 30 Amazon reviewers to make this one of the top rated inverter generator reviews. Consumers like how useful this machine is when trying to start up large electric motors for such things as an air conditioner or freezer. They also like the amount of power this generator offers. 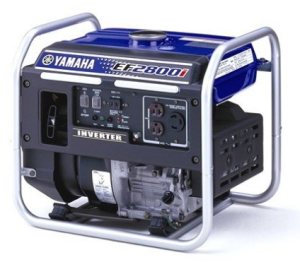 This Yamaha Gas Powered EF4500isE Inverter Generator has an electrical starting system and it weighs about 194 pounds. It is made in the United States and has a fuel capacity of 4.5 gallons. It runs quietly at 60 dba and runs at 4500 watts surge and 4000 watts rated at a frequency of 60hz. It has several outlets including one 120 volt and it has a gas gauge to let you know when you need to fill it up. There is an automatic low oil warning system that alerts you when the oil is running low. It comes with a three year warranty at time of purchase. It has a wireless remote control that you can operate up to 66 feet away and it has an easy to read power meter. It comes with a 4 stroke 357cc OHV one cylinder engine for added power. It is carb compliant and is sold in all 50 states. It costs about $3400 online and it earned 5 stars from amazon reviewers. 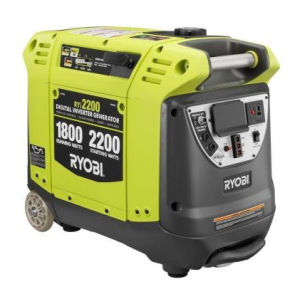 Consumers couldn’t be happier with this generator and feel it is perfect for their needs. All of these are among the top rated choices by consumers who preferred these inverter generators. The machines provide multiple features that make them worth having around your home, for outside events, and to power up your RV or camper.